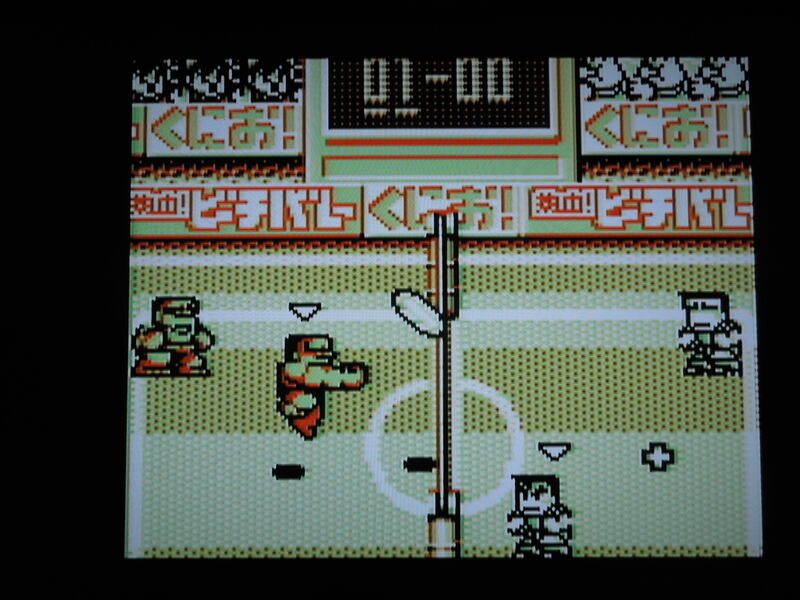 Plug Nekketsu Volleyball into a Super Game Boy. Plug the Super Game Boy into a SNES. You’re ready to go, even for 2 players. Quick History: Released in 1994, Nekketsu Beach Volleyball dayo Kunio-kun was the last game in the Kunio-kun series released for the Game Boy. The game was only released in Japan, and never received an English translation, therefore. I cannot find much helpful information on the Internet about this particular game, so I felt it was a great ‘obscure’ candidate. This is only speculation, but I think the game must have been released in smaller quanities than other Game Boy Kunio-kun games. It is quite difficult to find a copy in online stores, ebay included. Why is it so obscure? Perhaps it didn’t sell well in Japan – but who knows? I was able to find a solitary copy on ebay one day after having read about the game in one of the few other sites on the Internet that actually mention it. In addition to playing on the original Game Boy handheld system and some versions of the Game Boy Advance, this game was made to play on the Super Game Boy system. 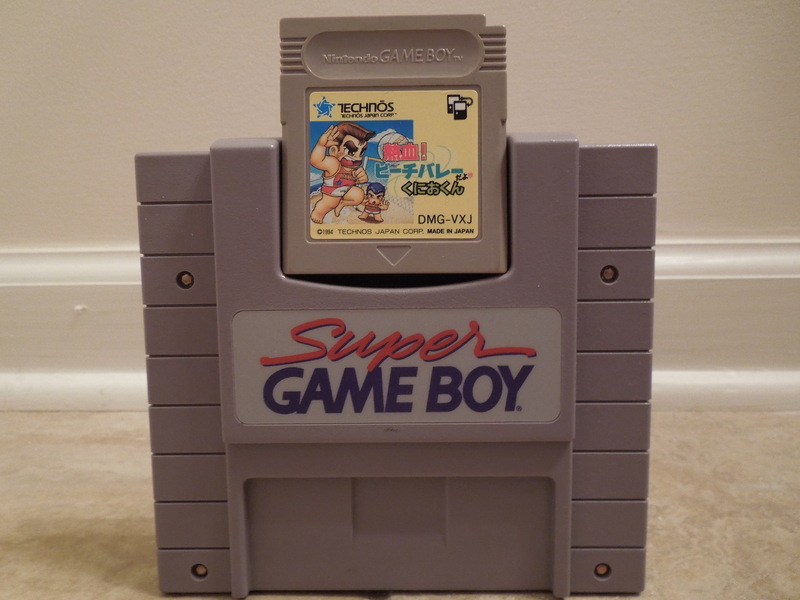 The Super Game Boy allowed you to slide Game Boy cartridges into its top, then plug the SGB into your Super Nintendo and play on your television. 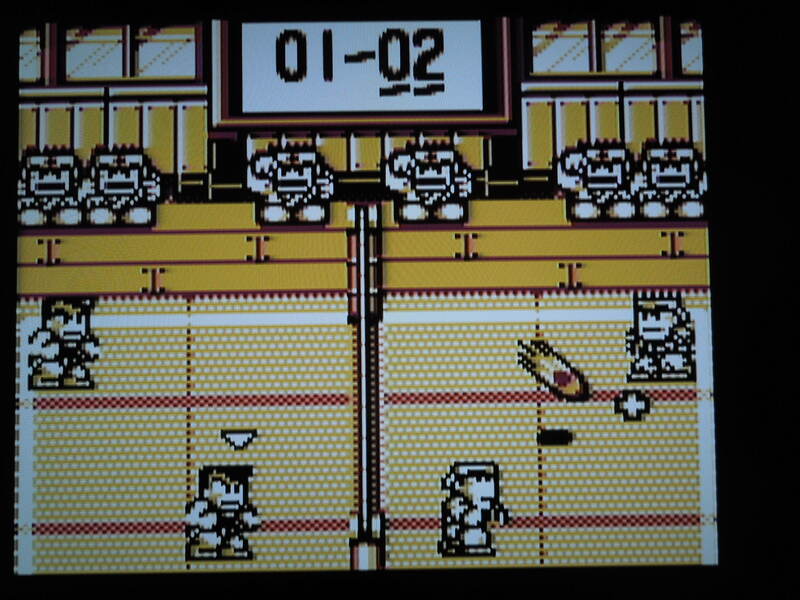 Additionally, Nekketsu Volleyball was designed with extra character voice samples and specific color palettes when played in a Super Game Boy. Gameplay: In Nekketsu Volleyball, you have 2 modes. First is Story Mode. In Story Mode, you choose from among 8 different 2-person volleyball teams. I can’t read Japanese, but based on each team’s uniform, this is my best guess as to the team names: 1. Team Kunio, 2. Matadors Team, 3. Masqueraders Team, 4. Karate Team, 5. Girls Team, 6. Weight Lifters Team, 7. Umbrella Team, 8. Soccer Team. Each team looks and acts distinctly different. For example, the Soccer Team wears soccer uniforms and kicks and heads the volleyball; the Matadors dress like…matadors…and they use a red cloth to swat the volleyball. In Story Mode, each team has their own unique court as well. For example, you play the Soccer team on a ‘soccer field volleyball court’ and you play the Weight Lifting Team in a ‘weight-lifting gym volleyball court.’ Some teams move faster, some slower, and there seem to be differences in how hard each team can spike the ball. Each team also has their own unique Super Shot. It’s worth playing as them all and finding a team that suits you. The second mode is VS Mode. Here, if you are playing on the Super Game Boy, you can play against a friend on your tv. You each pick you own team (you cannot choose the same team). You also have the option in VS to choose what court you play on, as well as the option to change how many points your match will be played to. Not everything is in English, but fortunately, the Options are. Controls: The original Game Boy handheld system only had 4 buttons (in addition to the control pad): Start, Select, B, A. So, the SNES controller only uses those buttons to play the game. *Note: You can use buttons L and R on the SNES controller, when using the Super Game Boy, to pull up menus to change the color palettes and border images. During gameplay, Select switches between your two volleyball teammates, although you won’t use this much. On Offense, when serving, B tosses the ball straight up in the air, and hitting B again when the ball descends will strike it over the net. Button A jumps, so you have to option to toss the ball up, then jump and strike the ball with B while it’s in the air – this type of serve sends the ball flying over the net much faster than the regular serve. You can steer the ball, once you have served it, by using the control pad. On defense, B will dig/hit the ball when your opponent has hit the ball over the net to your side. A little cross (+) will appear on screen to show you where the ball is headed. If you’re further away, head toward the + and hit B to do a sliding dig. When in front of the net, on defense, button A, if pressed right when your opponent hits the ball over the net, will cause your player to jump straight up, arms extended, to block the shot. Spikes: To spike the ball, wait until your opponent hits the ball back to your side – he’ll usually hit it towards you, not your computer-controlled partner. Hit B to hit the ball up, then head towards the net. The ball will head for your partner, who will then hit the ball for the ‘set.’ He will pop the ball up right in front of the net. Stand just behind the + symbol that indicates where the ball is headed (do NOT stand underneath the + or you’ll miss the ball). When the ball is at its highest, jump with the A button, then hit B to spike the ball! You’ll often execute your player’s Super Shot this way. It’s really easy to pull off spikes once you figure this out. Remember, you can steer your spiked shot by using the control pad. This game has some truly unique volleyball teams, like the Matadors and the Masqueraders. Rules: This is beach volleyball, so it’s 2 on 2. You play to a pre-determined number of points (you can change the number in Options – 5, 7, 10, or 15). You also play a ‘Set,’ so it’s the best of 3 matches against each team you face (you can change this to just 1 match per opponent in Options, too) There is no time limit on matches. You have to win by two points to win the match, also. Be careful serving – if you mess up your serve, it will cost your team a point without your opponent having done a thing – you don’t have 2 chances to get the serve right like in other video game volleyball games. 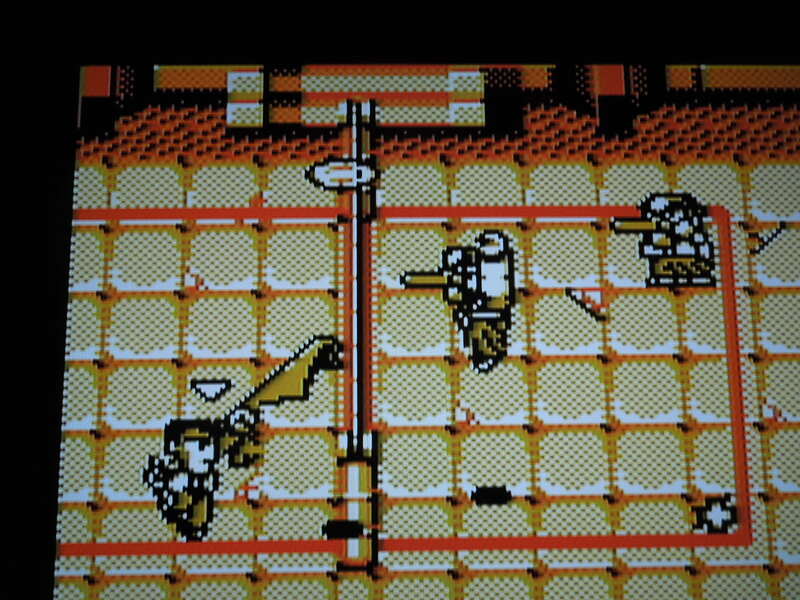 Sound and Music: On the Super Game Boy, this game sounds great. Each team has their own music theme, and the spikes, digs, voice samples, and Super shots all sound nice. Choose from among 8 volleyball teams. Language Barrier? No and Yes. No, if you just want to pick your team and play some arcade-style volleyball. However, there are several times when reading Japanese would be useful. First, when you choose your team in Story Mode, a graphic of your team and some text explains why they’re in this tournament, and you also get an ending for each team – because this is all in Japanese, you won’t know their story – no big deal, really. However, after you choose your team, but before each match, you are presented with 3 options in English: ‘Bomb, Drug, Etc.’ When you click on these, you evidently have the option to equip weapons or choose some helpful medicine. I have NO IDEA how to use these or what they do because everything is in Japanese. It doesn’t hurt the game to not know what these options are, but for curiosity’s sake, it would be nice to know. Fortunately, the Options menu is in English, so you’ll know which difficulty you’ve selected, as well as the match points. Password: There is a simple 4-digit and letter password so you can continue the game. You’ll get a password whenever you lose a match. So, where can I find this game? Finding the cartridge online can be challenging! Good luck! I believe it’s avaliable for download on Nintendo’s eShop in Japan, but not the U.S. You can play it on a Game Boy emulator on your computer. Each team has their own specialized Super Shot. 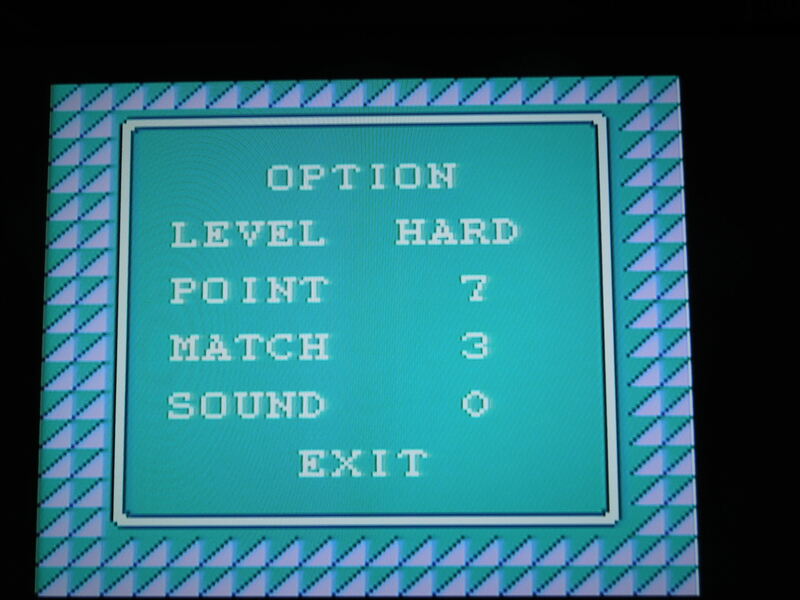 Conclusion: Most retro gamers are familiar with only 1 volleyball game: Super Spike V’Ball for the NES. That is a great game, and one of its best features is 2 player co-op, which, sadly, Nekketsu Volleyball lacks. 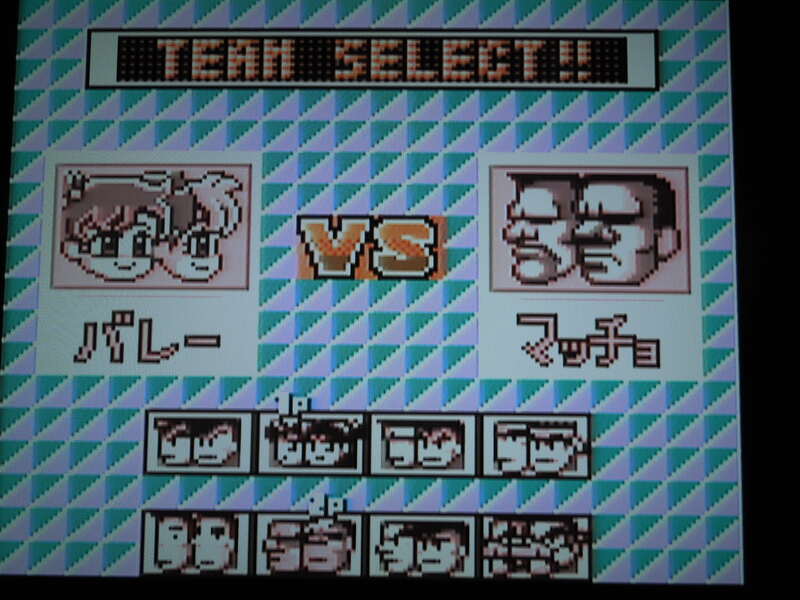 Comparatively speaking, this game is slower than Super Spike V’Ball, but it does have a greater variety in character selection, with more selectable teams (and more diversity among teams). It’s a fun, if quite simple, volleyball game. Beating the game on Hard will take some skill. The Weight Lifting team moves slowly, but they have a great Super Shot. 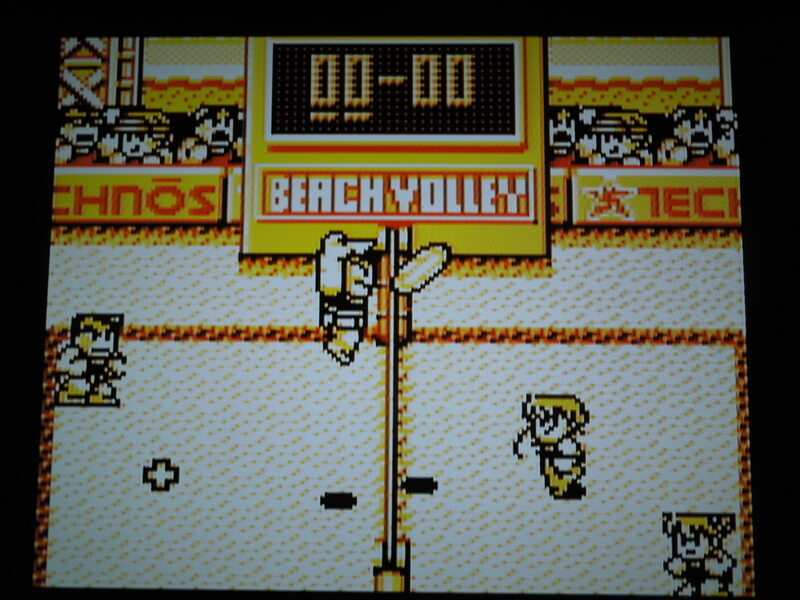 This entry was posted in Game Boy - Nekketsu Beach Volleyball and tagged Nekketsu Beach Volleyball dayo Kunio-kun Review (Game Boy). Bookmark the permalink.